Opening the Golf Course for the Season: What’s Involved? Spring has arrived and Bay Club members are anxiously awaiting the golf course opening for the season. There are multiple factors that influence the opening of the course. The main aspect is soil temperature which is, of course, affected by weather. A mild winter could hint at an early opening, only to be halted and postponed by a late-spring snow cover. Sound familiar? The Golf Maintenance team keeps busy during the winter months following the closing of the course in the fall. Due to fairly mild temperatures this year they were able to address several outdoor projects including burning fescue and brush mowing. When temperatures keep the crew indoors, they tackle projects such as preventative maintenance and replacing parts on equipment. They also take care of reconditioning the course accessories. These include the benches, coolers, bag stands, and tee markers. 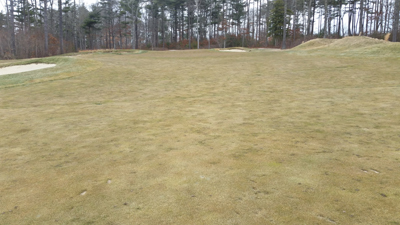 Once the soil temperatures begin to rise and the turf starts showing signs of life, the crew will begin cleaning, rolling, and mowing in preparation for opening. Despite the uncertainty of the “when” (we’re shooting for first full weekend in April beginning Friday the 7th), Bay Club staff is excited to get going on another year of providing the best golfing experience possible.